Sherick Hughes, Ph.D., discussed the implicit and explicit bias facing black students in science, technology, engineering, and math fields. The underrepresentation of black students in science, technology, engineering, and math (STEM) fields is linked more strongly to structural issues than to family and community issues, according to Sherick Hughes, Ph.D., from the University of North Carolina at Chapel Hill (UNC). He studies links between racial biases and underrepresentation of minority students in STEM education. 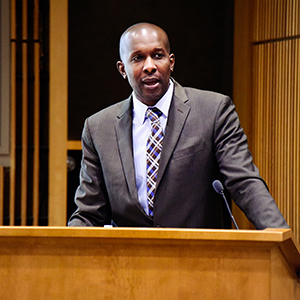 Hughes spoke on “Rethinking the Crisis in Black STEM Education” during the Black History Month Observance (see sidebar) at the U.S. Environmental Protection Agency (EPA), which shares a campus with NIEHS. 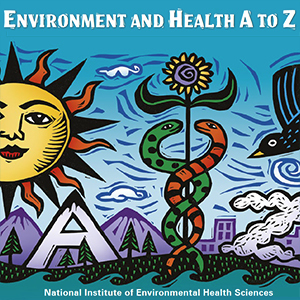 EPA organizers invited NIEHS staff to attend the Feb. 16 event. “The data suggest that the largest effect sizes are not from what’s wrong with black people, but [from] what’s wrong with the structures within which black people matriculate into schools and go into sciences,” said Hughes, who is an associate professor of education. 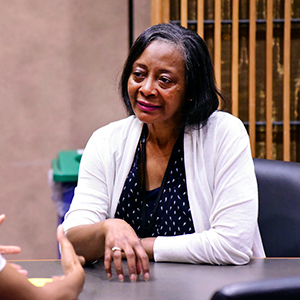 The NIEHS Office of Science Education and Diversity (OSED), directed by Ericka Reid, Ph.D., is aimed at helping counteract those structures. Goal 9 of the NIEHS Strategic Plan prioritizes activities to inspire and train a diverse and well-trained cadre of scientists, and a variety of OSED programs support that goal. According to Hughes, biases can be explicit, which means operating on a conscious level, or implicit, which means operating unconsciously. Implicit bias may lead to microaggressions, or indirect discrimination, such as expressing surprise when a young black man walks into an advanced calculus class. 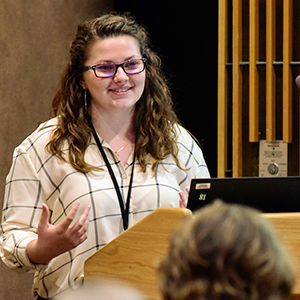 The strategies students use to cope with microaggressions take a toll, which may lead students to switch from STEM programs to more diverse majors. For example, Hughes told of a black student who was accused of cheating because he outperformed classmates. When he defended himself, the teacher concluded he must be a genius. The student accepted that as a way out and began pretending he did not have to study, when in fact he was working very hard. Students who are the first in their family to attend college may have fewer family and social networks to help them land crucial internships and job interviews. 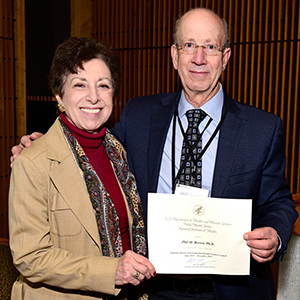 Hughes encouraged institutional efforts, such as the North Carolina Mathematics and Science and Education Network, that help overcome structural challenges. Research by Scott Page, Ph.D., from the University of Michigan, confirms that diversity strengthens business and research teams. And yet, Hughes noted, studies by McArthur Fellow Jennifer Richeson, Ph.D., from Yale University and others show that individuals with high racial bias, when paired with someone of another race, experience a decline in overall cognitive performance. Richeson’s functional MRI (fMRI) research suggests that may be partly due to the extra effort required for their brains to deal with those biases while accomplishing tasks. Implicit and explicit biases are habits of mind, Hughes suggested, and habits can be changed. The Harvard Implicit Association Test, publicly available through Project Implicit, is the most popular of several available tools to help uncover biases. Citation: Patricia G. Devine PG, Forscher PS, Austin AJ, Cox WTL. 2012. Long-term reduction in implicit race bias: A prejudice habit-breaking intervention. J Exp Soc Psychol 48(6):1267–1278. Tiffany Purifoy and other EPA event organizers provided a full complement of art and literature along with the informative talk by Hughes. A video reviewed African American accomplishments in 2016, including the opening of the National Museum of African American History and Culture, and the appointment of Carla Hayden, Ph.D., the first woman and the first African American to serve as the Librarian of Congress. Deborah Lord, from the EPA National Exposure Research Lab, read the powerful poem, “Still I Rise,” by the late Maya Angelou, from Wake Forest University.